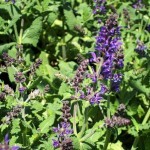 A clump forming perennial. 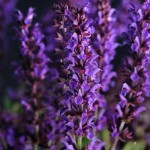 Glowing purple stems are covered in violet-purple flowers blooming from June to October. An excellent cut flower. Drought tolerant once established. 2000 Outstanding New Perennial award winner. 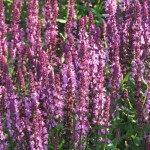 Excellent for perennial borders, cottage or butterfly gardens. Very effective when massed. Bushy compact plant with frosty gray-green leaves. Deep violet blue flowers on purple stems. Drought tolerant once established. 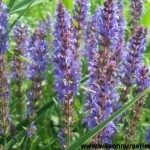 Excellent for cottage gardens, naturalized gardens, perennial foundations and massed. 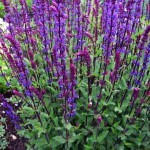 A dwarf clump forming perennial Salvia with deep violet flower spikes from June to September. A naturally occurring mutation of S. ‘Ostfriesland’. Lance shaped, green leaves. Tolerates drought. Remove spent flower spikes to help extend the bloom period. Excellent for perennial borders and rock gardens. 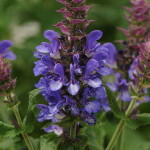 Also known as Violet or Hybrid Sage, and Salvia superba. 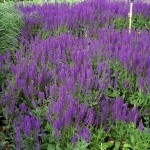 Very reliable and compact perennial. Tolerates heat and drought. 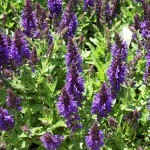 Useful in borders and natural plantings. Deep purple flowers with red tinted bracts. Attracts butterflies and hummingbirds. Deer resistant and an excellent cut flower.